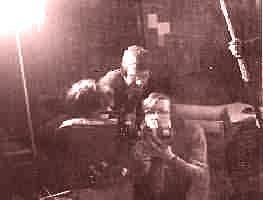 1: Directing 'The Fund' in London. 2: With German film crew. directing his documentary film on the Imperial Cancer Research Fund in central London. 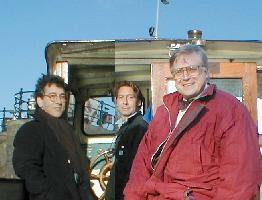 Brian's successful German series 'Jensheits des Kanals' (right) was filmed on location in the UK. 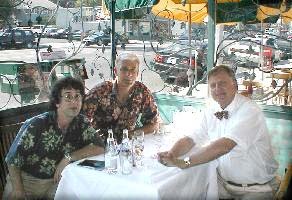 3, 4:With producer Terry Gris (left) in Hollywood and in Amsterdam. Brian appears in films from many nations -- including Japan, Germany and Hollywood. further films in London and Hollywood.